In the base of this strategy there are SMA, important ledges, and trend lines. 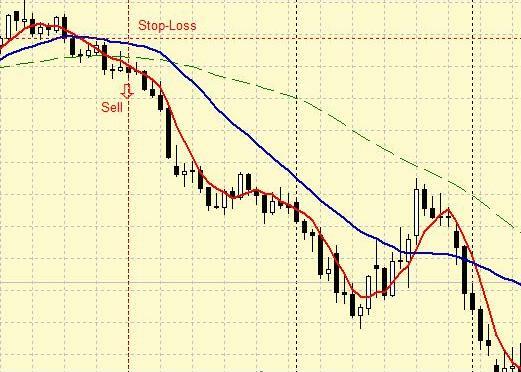 It is recommended to apply this strategy for the EURUSD currency pair. As this strategy is positional, the main term to start the trade is the availability of a trend and the position for opening should be on trend movement. The trading is good only for day graphs and on large intervals, therefore, it is not good for the small deposits. However, if you still want to try, it is recommended to apply accounts of micro-cents and the risk for transactions of this kind should not be over 3% or 4% of the deposit. SMA with 4 and SMA with 8 are in the same direction. If the trend is set up, the price should be more than the SMAs, otherwise if the trend is lower, the price should be less than the SMAs. Stop-loss orders should be installed equally to the value of the antecedent minimum or maximum of the price. When the fractal is formed, there should be stop-orders.